Carcassonne has the particularity of having two walls connected by the old bridge or Vieux Pont. The Bastide Saint-Louis, called the lower town, is the commercial and residential centre of Carcassonne. The Cite, also called the upper town, is located on a promontory on the right bank of the Aude and is surrounded by ramparts dating from the Middle Ages. At the heart of that city stands the Counts' Chateau. From the Tower of Saint Nazaire in Carcassonne, you can enjoy a superb panorama of the Montagne Noire and the Pyrenees. At the centre of the town, on Place Carnot, is the splendid Fountain of Neptune. 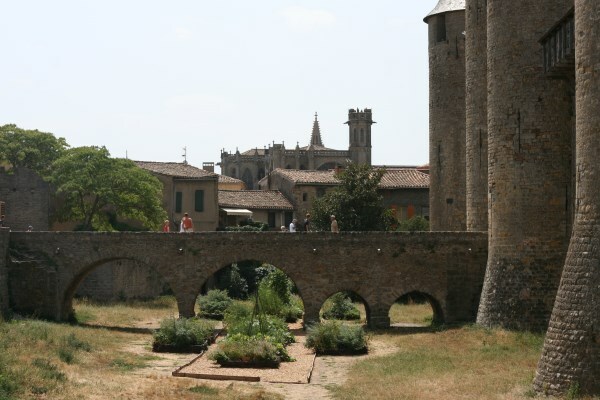 That is the square where the Carcassonne market is held. 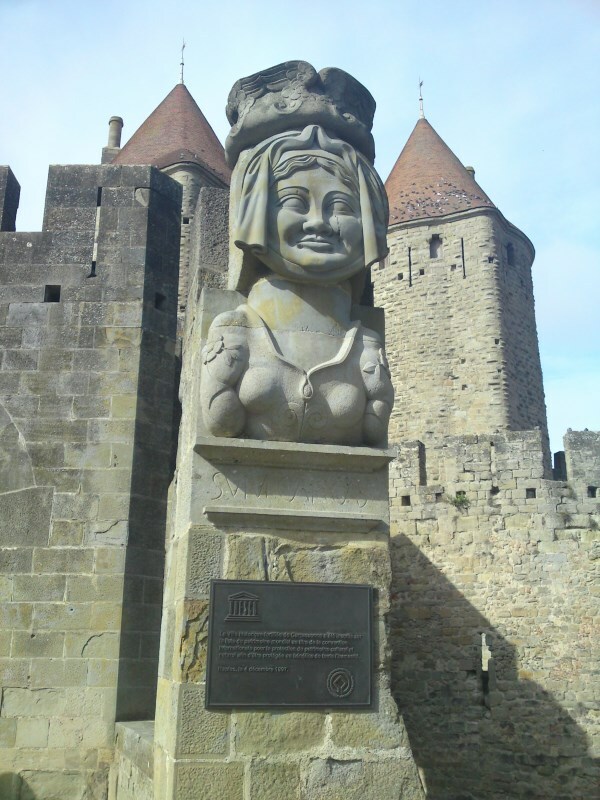 The city of Carcassonne is a gorgeous and very famous medieval town. 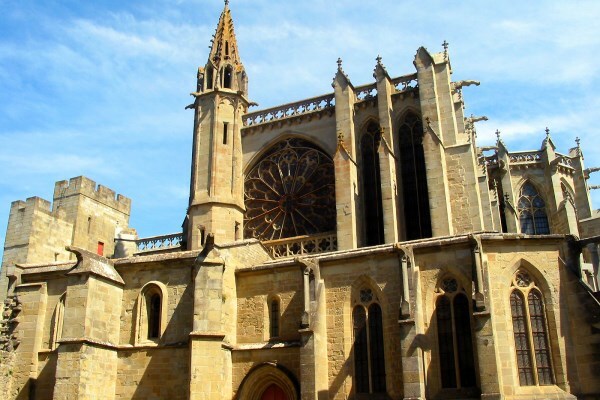 Its most renowned monuments are the town walls, the Comtal castle and Saint-Nazaire basilica. The Canal du Midi, which connects the Atlantic Ocean to the Mediterranean Sea, crosses the city. Summer is a very dynamic and touristic season in Carcassonne. From May to August, the organs festival "Les Vents d'Anges" makes the city alive ("the Angels' Winds" in English, a pun with "les vendanges", "the harvest"), followed by the Festival de Carcassonne, which lasts all summer. In July and in August, the Estivales d’Orgues de la Cité ("City's Summer Organs Festival") turns this already vibrant town into a musical one; the chivalry festival takes place during the same period. Lastly, in October, the International Festival of Magic ("le Festival International de la Magie") and the Wine Festival ("la Fête du Vin") mark the end of summer events. The climate is temperate, wet, with hot and dry summers, and mild winters. Average temperatures are 5.9°C in January, and 22.1°C in July. Carcassonne is a pleasant place to go every season of the year; however, it is mostly attended during summer. You might want to go there during summer; this is when the town is at its highest, in spite of the flocks of tourists. 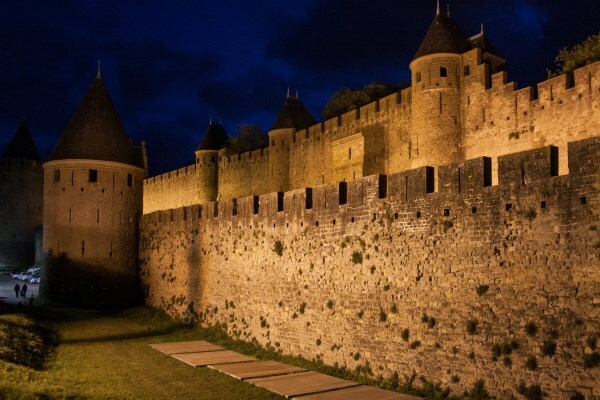 Carcassonne is a highly medieval city: if you like the Middle Ages, this is the dream destination for your holidays! Low budget: 27€ per night in low season, and 34€ in high season. Mid-range: 65€ per night in low season, and 100€ in high season. Luxury: 209€ per night in low season, and 329€ in high season. In the medieval town, to be at the heart of the Middle-Ages buildings. In the fortified bastide of Saint-Louis (the lower part of the city), so that you'll have the opportunity to enjoy the center of town. On the banks of the Aude river, if you like rivers and their quietness. Need more information about this place?